March | 2015 | sausageheavenoutdoors Enjoy making homemade sausage, Tasty way's to BBQ, smoking meats and poultry. See how northern Minnesota was settled and the life early homesteader's lived their lives and more!! 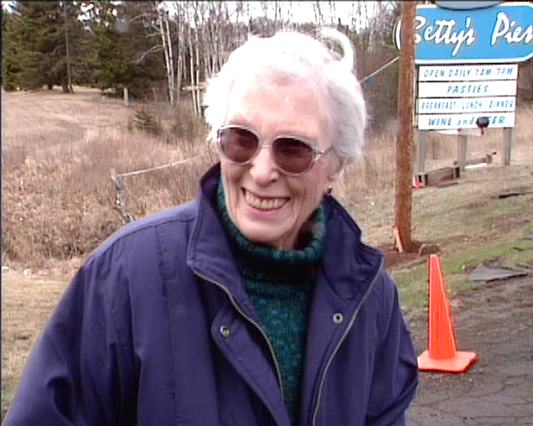 Betty Lessard, who started one of the North Shore’s best-known restaurants, has died at age 90. Carl Ehlenz, the current owner of Betty’s Pies, said the family called him Friday morning to deliver the news that Lessard had died Thursday night. Scott Storms, a nephew of Lessard, said she had broken her hip a while back and had a hard time recovering. Lessard started selling pies at her dad’s fish shack on the Stewart River in 1956. Soon the pies became more popular than the fish, and Betty’s Pies was born. Betty’s Pies became a landmark between Duluth and Two Harbors, and a must-visit location for many tourists. She watched as the original restaurant was torn down in 2002 to make way for an expansion of State Highway 61. Lessard sold her iconic restaurant years ago, but was still a presence at the shop. Her recipes were even published in a cookbook. A memorial service is planned for Monday, April 6, at 11 a.m. at Sunrise Memorial Funeral Home in Hermantown. This is from http://www.WDIO.com . 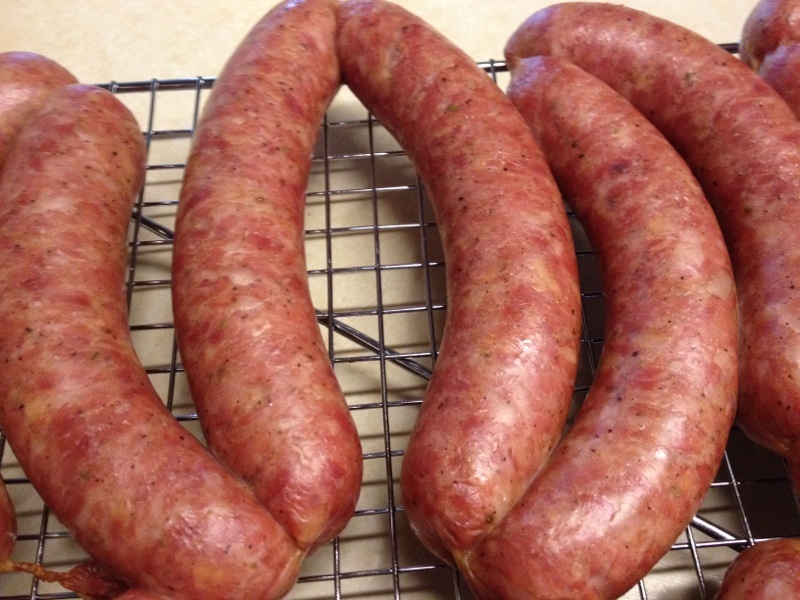 All this nice weather sure get’s me in the spirit for sausage making. Well it doesn’t take much for that to happen regardless but the nice weather get’s it a notch higher. I wanted to try this recipe I got from a guy in Canada. This called for pork and chicken for the mix so that meant some extra flavor, along with the spices he used. 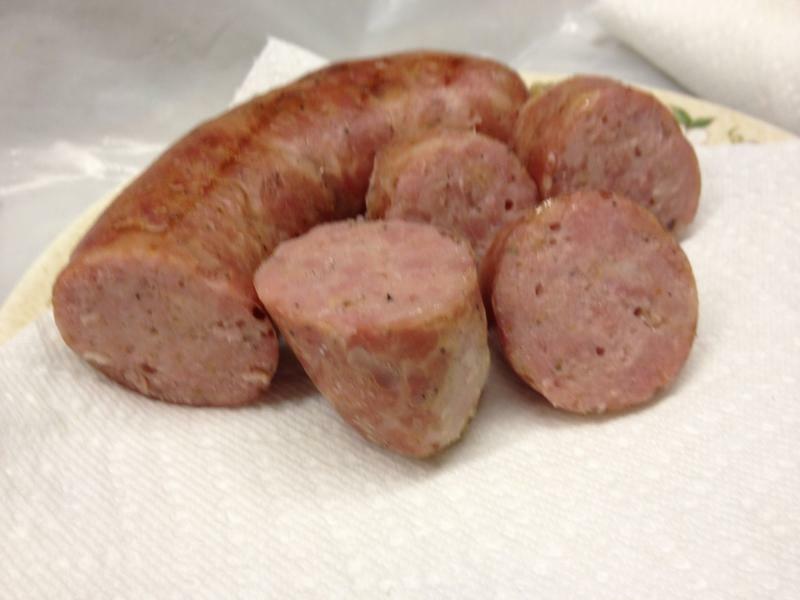 Check out what I made in the Homemade Sausage page [Tasty Chicken and Pork Brats]. You can make these smoked, in the oven, or fresh for the grill. Hunters who applied for a spring wild turkey hunting license but were not selected in the recent lottery are eligible to purchase a surplus license on a first-come, first-served basis beginning at 5 p.m., Monday, March 16. A total of 2,789 surplus licenses are available. People who did not participate in the lottery may purchase any remaining surplus licenses starting noon on Wednesday, March 18, when all remaining licenses are made available to anyone. Unlimited over-the-counter licenses for time periods D-H also go on sale at this time. Surplus licenses will be available at any statewide Electronic License System agent or online at http://www.mndnr.gov/buyalicense. A list of hunting dates, permit areas and the number of surplus permits available in each area is available at http://www.mndnr.gov/hunting/turkey. Northern pike usually spawn first when water temperatures are in the low 40’s. There is often still ice on the main lakes when pike run into tributary streams, rivers or wetlands to spawn. Walleye spawn a bit later, followed by yellow perch, muskellunge, bass and crappie/bluegill. Henry Drewes, DNR regional fisheries manager.